You’d think, wouldn’t you, that the US governmental Food and Drugs Administration would be tasked with giving the public information based on rigorous and robust science. Sadly, you’d be wrong. This week – in the face of hysterical panic about youth use of e-cigs – they have produced a poster which they will be sending to every High School in America to be put up in school bathrooms. Now, let’s put aside for a moment the laughable idiocy of showing kids the new risky fad that many of their peers use and that they might be missing out on, and look instead at what is in it. Paukenschlag der Zweite: eine weitere Studie, dieses mal aus Italien, bestätigt erneut die Effektivität der E-Dampfe für einen erfolgreichen Rauchstopp! Vaping nicotine is the most popular way.. When the young Robert Richter arrived at Melbourne University in the mid-’60s, smoking was in vogue. Hanging around the library, it made his fellow students look worldly and sophisticated, so he followed suit. For the next 50 years he fitted in a pack-a-day, and although he often tried to quit, he was in a state of such deep addiction, he couldn’t. Without nicotine, he couldn’t run the legal practice that has made him a celebrity barrister with a client list stretching from Melbourne’s gangland figure Mick Gatto and Ray Williams of HIH, to former Elders IXL boss John Elliott and Cardinal George Pell. The team included Ann McNeill from King’s College, London. They explain the reasons for conducting the study: “The kind of NVPs people use, levels of overall use, and whether they use with nicotine, is likely to be affected by the regulatory environment. Further, devices which differ in the way they deliver the product are likely to affect overall use patterns, and potentially the public health implications. The Food and Drug Administration’s Scott Gottlieb and Surgeon General Jerome Adams are desperate to get back into children’s toilets. They are pushing school administrators to erect a new set of ridiculous posters on bathroom walls. Many will be amazed if it doesn’t lead to many more children believing this is a craze they can easily get into. Last September, the FDA carried out a combined video/poster campaign which made vaping look like an incredibly cool horror film, dubbed “Vapeworms” by tobacco-harm reduction campaigners. The latest offering proves that Gottlieb and Adams know as much about kids as they do about vaping. The answer appears to be yes and the details are not pretty. In this episode of RegWatch Michelle Minton, Sr. Fellow from the Competitive Enterprise Institute and author of the exhaustive report “Fear Profiteers: How E-Cigarette Panic Benefits Health Activists,” pulls back the curtain to expose the motives and tactics behind the public health war against vaping. 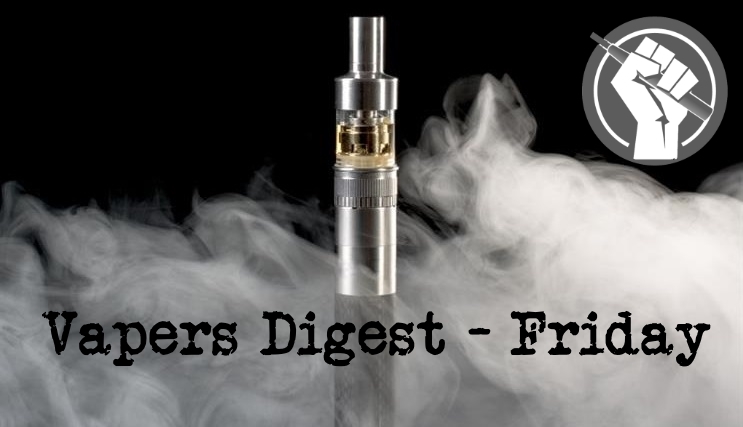 The FDA’s Refusal to Promote E-Cigs.. The letter, sent to the White House on Monday, criticized the Food and Drug Administration — and specifically its commissioner, Scott Gottlieb — for waging an “aggressive regulatory assault” on e-cigarettes. The signers include Americans for Tax Reform, ALEC Action, the Competitive Enterprise Institute and the Goldwater Institute. American e-cigarette maker JUUL’s plans to enter India may have hit a roadblock as the IT ministry’s proposed rules to regulate online content in the country include a ban on subject matter that jeopardises public health. The Ministry of Electronics and Information Technology (MeitY) had in December issued a draft of the so-called ‘intermediary guidelines’ that would require companies to remove unlawful content within 24 hours. Health Canada announced the proposed new rules Tuesday. They include a ban on e-cigarette advertisements at any stores where children are allowed inside, on billboards and other outdoor advertising spaces, and in transit vehicles and other public locations where children may be. “We want to make sure that children are not going to be able to see this type of advertising,” Health Minister Ginette Petitpas Taylor told reporters on Parliament Hill. The Ashland Board of Health signed regulations banning the sale of mint, wintergreen, and menthol tobacco and e-cigarettes.